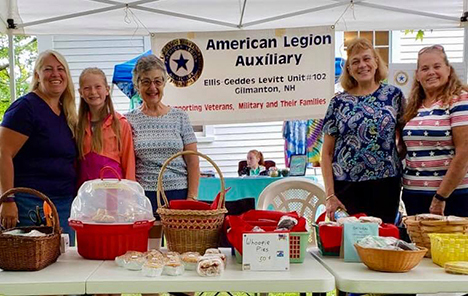 Members of the American Legion Auxiliary Ellis-Geddes-Levitt Unit #102 of Gilmanton wish to thank the Gilmanton Old Home Day committee for all that you do to make Gilmanton Old Home Day a success every year. We especially want to thank everyone who came by our table on Saturday, August 18th. Whether you purchased some yummy baked goods, bought raffle tickets, that day or in advance, or just stopped to say Hi, it all made for a very successful day. It is with pleasure to announce that Dawn Gagnon of Gilmanton won the raffle this year. All proceeds from our bake sales and raffles go toward programs designed to help veterans and military personnel and their families. Thank you one and all. Hope to see you next year.